The topological Tverberg conjecture (discussed in this post), a holy grail of topological combinatorics, was refuted! The three-page paper “Counterexamples to the topological Tverberg conjecture” by Florian Frick gives a brilliant proof that the conjecture is false. The proof is based on two major ingredients. The first is a recent major theory by Issak Mabillard and Uli Wagner which extends fundamental theorems from classical obstruction theory for embeddability to an obstruction theory for r-fold intersection of disjoint faces in maps from simplicial complexes to Euclidean spaces. An extended abstract of this work is Eliminating Tverberg points, I. An analogue of the Whitney trick. The second is a result by Murad Özaydin’s from his 1987 paper Equivariant maps for the symmetric group, which showed that for the non prime-power case the topological obstruction vanishes. It was commonly believed that the topological Tverberg conjecture is correct. However, one of the motivations of Mabillard and Wagner for studying elimination of higher order intersection was that this may lead to counterexamples via Özaydin result. Isaak and Uli came close but there was a crucial assumption of large codimension in their theory, which seemed to avoid applying the new theory to this case. It turned out that a simple combinatorial argument allows to overcome the codimension problem! Florian’s combinatorial argument which allows to use Özaydin’s result in Mabillard-Wagner’s theory is a beautiful example of a powerful combinatorial method with other applications by Pavle Blagojević, Florian Frick and Günter Ziegler. Both Uli and Florian talked about it here at Oberwolfach on Tuesday. 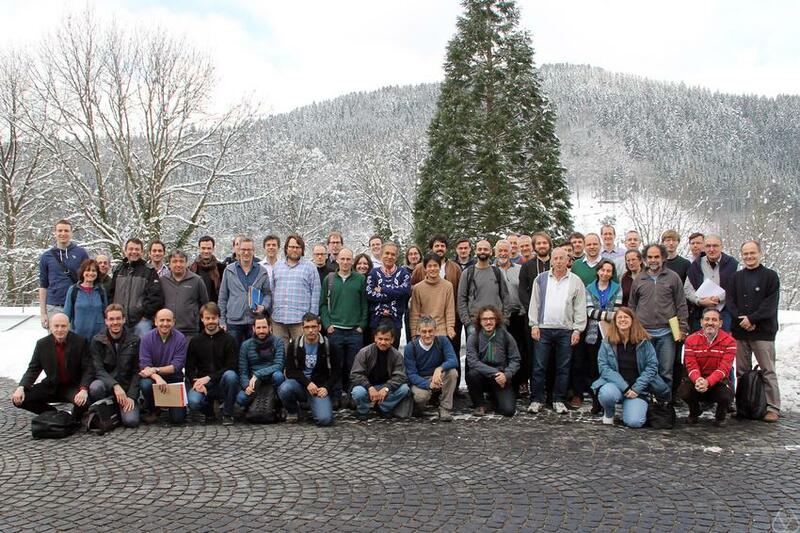 I hope to share some more news items from Oberwolfach and from last week’s Midrasha in future posts. Updates: Some aspects of the combinatorial method of Blagojević, Frick and Ziegler were earlier and independently suggested by Gromov. This entry was posted in Combinatorics, Conferences, Convexity, Updates and tagged Florian Frick, Issac Mabillard, Uli Wagner. Bookmark the permalink.